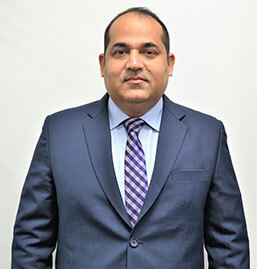 A real estate enthusiast with over a decade’s experience, Amit Raheja is the Chief Managing Director of Wealth Clinic. He holds exceptional knowledge of the real estate industry and enjoys building strong relationships with private and global investors. He started his career in the real estate industry in the year 2008 and ever since then he is leading his business like a storm. A sharp-witted person having exceptional knowledge and a rich real estate experience, he decided to start his own real estate advisory firm, Wealth Clinic in the year 2012 with his younger brother Sumit. With his flair insights of the local real estate market, attention to detail and an ability to analyse complex situations, he provides immense support to his team. With an aggressive approach and strong service culture, Amit makes sure his clients get what they set out to achieve. 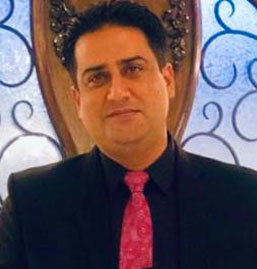 Prior to founding Wealth Clinic, Amit started his career at a very young age with his parental business of pharmaceutical, he always had the true inherited qualities of an entrepreneur. He is a self-disciplined person and a great sports enthusiast. He treats his associates as a part of his family and believes in building a family-friendly workplace. With an exceptional knowledge of the industry, he has built a strong and successful team of real estate advisors by mentoring each associate to achieve their highest potential. 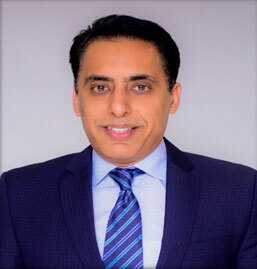 As the Managing Director of Wealth Clinic, Sumit is driving the company’s vision of providing unmatched real estate advisory services to the home buyers. He started his real estate journey when he was offered an opportunity to join the real estate industry in the year 2006. He is a keen strategist and possesses strong financial and analytical skills with leadership qualities. With an extensive knowledge of real estate, he started his own real estate consulting firm with his elder brother Amit Raheja. Like his brother, he too has a great inclination for sports. As a budding entrepreneur, with a sharp mind and strong analytical skills, he thrives to be supporting and nurturing in order to help his clients to make a well-informed home buying decision. By mentoring his associates with his brother Amit, he has built a strong team of skilled real estate experts to offer high-quality services to achieve customer delight. With a go-getter attitude, Sumit has successfully delivered on numerous projects by building long-lasting relationships with the clients. He is a strategic planner and possesses strong financial and analytical skills that not only makes him a strong leader but an excellent example for upcoming entrepreneurs in the industry. With his unprecedented knowledge and a keen interest in real estate, he has helped a large number of individuals and businesses successfully invest in the real estate market. 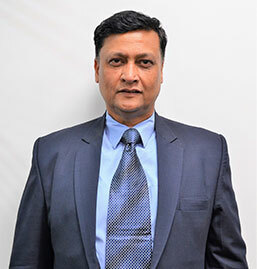 Sandeep holds vast experience in various industries like electronics, IT, sports equipment, BPO, banking and real estate. Fully committed to his team, his clients and his work with exceptional knowledge of real estate he has helped many buyers find their perfect home. He holds an MBA degree in marketing, with his marketing abilities and dedication to his work, Sandeep welcomes all types of challenges in any situation. Committed to his work, he can handle the toughest situation with a positive attitude. He has also been awarded as the ‘’Best Businessman’’ in Dada Saheb Phalke International Film Festival in the year 2018. 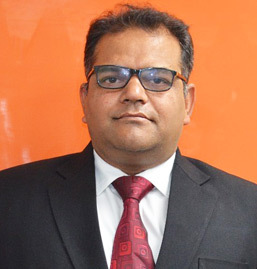 Deepak holds vast experience in real estate and started his career in a real estate advisory firm in the year 2005. Deepak holds a post-graduate degree in Business and Administration and has also worked in the government sector for a long period. With his exceptional knowledge of real estate over the years, he has built a strong client base that truly values his work. With his extensive experience and understanding of the market, he makes sure his client’s needs are catered in the best possible way. With his enthusiastic attitude and a vast knowledge of the real estate industry, he can easily build a strong rapport with his clients. 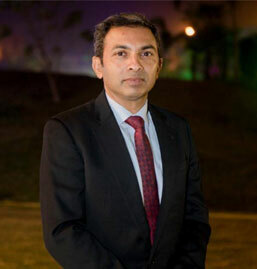 He holds a degree in Btech and completed his MBA from London, prior to which he joined a real estate consulting firm. He is extremely driven and motivated and enjoys taking up challenges. 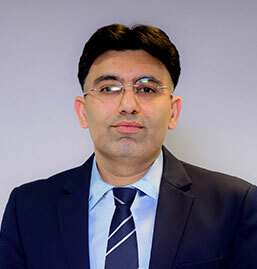 A soft-spoken person with a sharp mind, Suhaib strongly believes in building long term relationships with his team and his clients. A post graduate in commerce, Vishal started his own business at an early age in sports good manufacturing and trading. He is a dynamic person with a strong conviction who is always willing to help his associates. With deep insight and flair knowledge of the industry, Vishal strongly believes in delivering outstanding results to his clients. Prior to joining Wealth Clinic, he successfully ran his export firm from an early age. He is a graduate of IILM who started his career in real estate in the year 2010 and through his years of experience in the industry, he has accumulated enormous knowledge about this sector. Danish loves the daily interaction with his clients and associates and is passionate about helping others grow with his vast knowledge about the industry. He has an aggressive personality who is passionate about this work and possesses strong managerial skills. He strives to achieve and exceed the expectations of his clients and always endeavors to offer them top-notch services. 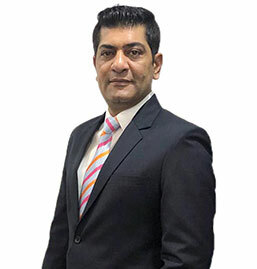 With a rich experience of over 25 years in the automotive industry, “Bala” joined Wealth Clinic in 2018, having worked in the markets of India, Middle East, Africa and Europe. He has a dual post graduate degree in Marketing and Finance. Responsibilities are to take care of business relations of developer empanelment and ensuring that operational issues are addressed to the satisfaction of both internal as well as external customers. A logical thinker, a stickler for perfection and an honest attitude makes Bala an ideal choice for this position. He has been a State level tennis player and still can be a force to reckon with on the court. In his free time, he prefers to ride his trusted Bullet 500 thumper and has covered thousands of kilometers on the Indian roads and highways. Bala’s other interests are running, photography and collection of antiques. He started his own fashion designing business at an early age, which was a great success. Post that he joined real estate in the year 2010, always ready to take challenges, a workaholic personality for whom everything is possible and believes in achieving anything if you have the urge for it. He is a perfectionist and a team player who always undertake team building initiatives to foster team development within the organization. Professionally qualified in Hotel Management got further groomed with the degree in Business Administration from Thames Valley University London. He has worked with the top most professionals in the Royal Mail. He started his real estate journey in the year 2011. Parul is a team player, a dedicated person who is always committed to his work. 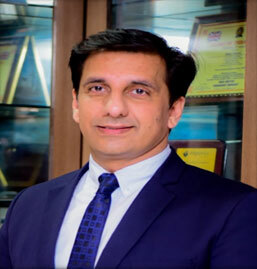 He started his journey in real estate in the year 2016 Col Rohit Jha is an alumnus of the Prestigious National Defence Academy and has also served the Indian Army for 21 years. He is triple masters and has topped All India Entrance for M. Phil in JNU. Prior to completing M.Phil, he became a Phd scholar in the same university. He is disciplined and strongly dedicated to his work. 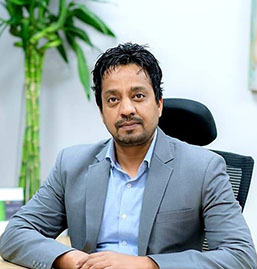 He started his career as a Branch Accountant with Modi Xerox and has also worked with prominent companies such as BPL, National Panasonic, Reliance Communications and Black Berry (Dubai & Africa). Faiz holds a degree in MBA and has also done CA Inter. With his simplicity and polite attitude, he can easily get the work done efficiently through his team. Aman Jain is a young dynamic energetic entrepreneur. He is passionate towards his work and in a short span of time he has accumulated enormous knowledge about this industry. He possesses remarkable leadership quality. He has the expertise to get maximum productivity from the people and to the business. He firmly believes and follows his mantra "Focus is the key to success". With his dedication, diligence and integrity, he can build loyal and long-lasting relationships with his clients. He is a post graduate in International Business and Information Technology. 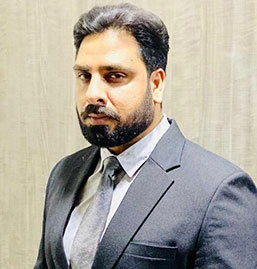 He has worked as a teacher for 7 years and also did his RERA Certification from Dubai in the year 2018. 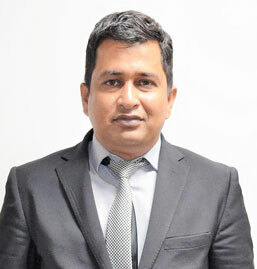 He holds an experience of more than 12 years in the real estate sector. A charming personality with politeness integrated in his nature, he can handle the toughest challenges with his go-getter attitude. He is a self-motivated individual who brings an optimistic attitude to his workplace.